Welcome to the Hendersonville Fire Department's page on new fire equipment. In our attempt to serve the Hendersonville community, we have focused much of our resources on updating older equipment to equipment that is considered to be state of the art. The Hendersonville Fire Department is over 25 years old. 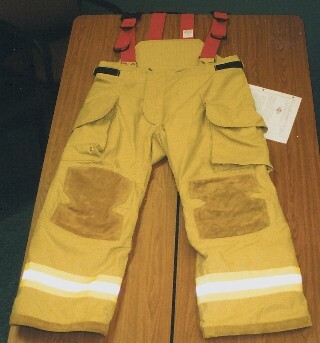 While we are a relatively young department, fire fighting equipment and techniques are constantly being revised, discovered and developed. It is due to our progressive stance, that we hope to remain on the cutting edge of fire service readiness. Also be aware that the Hendersonville Fire Department responds on all medical, hazmat, vehicle extrication, and numerous other incident calls. So it is imperative to have state of the art equipment designed for many types of emergencies. Large ventilation fans have many important uses in the fire service. By far the most important use is on the fire scene. The fan is used to provide positive pressure inside a building. This gives the firefighter many advantages such as visibility, easy fire detection, smoke and heat removal and an overall safer working environment. This picture shows our latest fan purchase. These reliable fans have features that place them a step above our older units. Larger engine and fan blade length allow a greater volume of air movement. Rubber wheels allow for ease of movement and solid stationing. 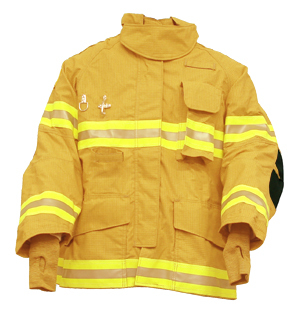 Modern Turnout Gear provides great protection from fire and other elements while placing less of a burden on the firefighter. The turnouts are used in many emergency situations like fire, cold, exposure to sharp or jagged surfaces, hazardous infectious) materials, electricity (to some extent) and almost any other hazardous environment. 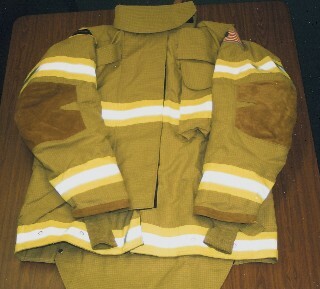 The gear is much improved by use of new material and fabrication techniques which produce a lighter, drier turnout. 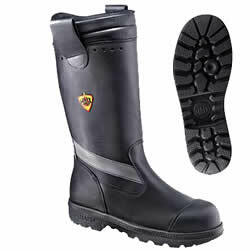 Leather boots allow greater comfort and less weight without loss of protection. The helmet is very light, comfortable and provides great head and face protection. 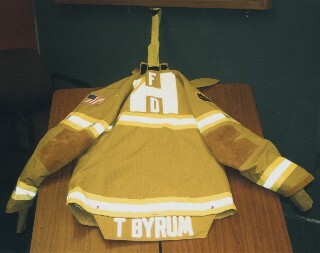 Every NFPA 1971, 2007 Edition turnout coat has a Lion's Fire Fighter Recovery harness, also known as the Drag Rescue Device (DRD). The DRD provides mechanical leverage for dragging a downed and incapacitated structural fire fighter from a life-threatening environment. Elbow and knee reinforcements for natural flexing of arms and legs. 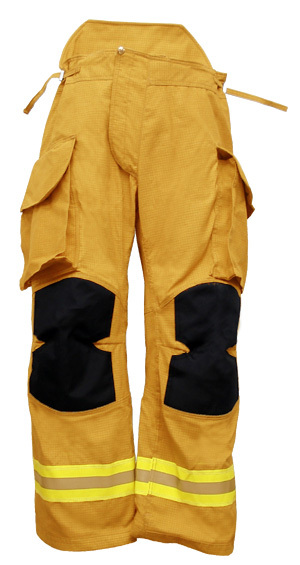 Pants suspension system reduces restriction to movement and protects lower back from abrasion caused by the SCBA rack. Contoured legs and knees with cutouts, shaped pieces and darts enable freer movement. 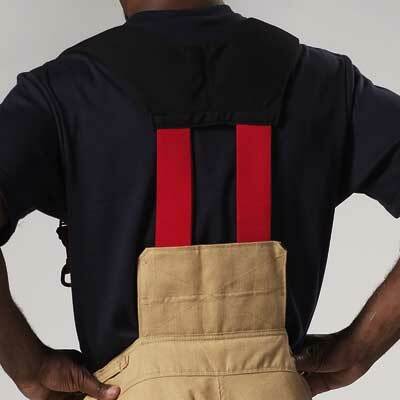 These specially designed, heavily padded stretch suspenders have a large Velcro panel that attaches to the unique high-back support pad at the rear of the V-Force pant. Jacobus Turck of New York City is credited with inventing the first fire cap around 1740. It was round with a high crown and narrow rim and was made of leather. Improvements on his design were made by Mathew DuBois, who sewed iron wire in to the edge of the brim to give the helmet shape and strength, and provide resistance to heat, moisture, and warping. The leather helmet as it is known today came from a very modest and non-fire related beginning. Although the year the traditional fire helmet was invented is mired in speculation and debate, it is generally agreed upon as sometime between 1821 and 1836. The gentleman credited with its founding was named Henry T. Gratacap. Gratacap was a volunteer fireman in New York City, but made his living as a luggage maker. He had made quite a name for himself because of his innovative luggage specifically designed for ocean transit. It was made of leather that was specially treated, which offered unparalleled durability and withstood wetness without rotting. These qualities were very desirable in a fire helmet as well and Gratacap designed the first “eight comb” (a design composed of eight segments) fire helmet. It was named the “New Yorker” and originally adopted by the New York City Fire Department (FDNY) in the late 1800s. 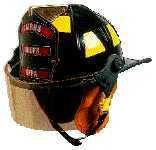 The New Yorker helmet retains the same authentic look and quality that generations of firefighters have relied on. A durable handcrafted leather shell lasts for years with minimum maintenance. Features non-corroding, high temperature glass filled polymer faceshield/goggle hardware and a soft, black Nomex chinstrap with one-hand quick release buckle and postman slide that allows quick and easy adjustment. Pbi/Kevlar earlap for increased neck/ear coverage and protection as well as removable flannel liners for washing that provides greater ease and comfort. An engineered impact cap provides advanced thermal/impact/penetration protection. The larger diameter hanger fits on larger hooks and racks. Hand crafted, hand shaped, hand stitched and hand trimmed to meet today's standards. Thermal Imaging Cameras are a great new tool for today's firefighter. 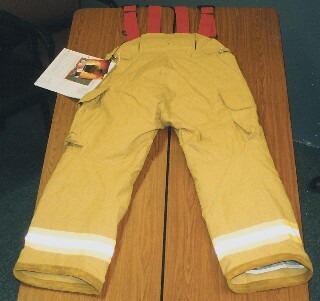 It allows a fire fighter to see heat patterns images) while in complete darkness. It is so sensitive that it can distinguish the smallest amounts of heat differences, giving a fire fighter an accurate picture (in gray scale) of their surroundings. Hendersonville now has six thermal imaging cameras. These cameras could potentially provide great benefits while performing interior search and rescue operations. The standard method of search and rescue requires fire fighters to feel and listen for victims in partial or complete darkness. Since time is the most important factor, it is easy to understand the assistance an imager could provide. SCBA (self contained breathing apparatus) with new Stealth Bottle and mask) are vital to every modern fire department for smoke filled (and many other hazardous) environments. This unit provides fresh air for about 20 min. under heavy physical stress (depending on the fire fighter). SCBA is used at any emergency where a hazardous environment is anticipated. Hendersonville has now upgraded it's entire inventory of SCBA. 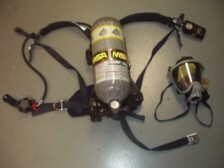 All fire units now carry the state of the art MSA face mounted regulator type airpacks. Hendersonville was able to make this purchase with the help of a large federal grant. Make no mistake about it, these are exceptional air packs and will provide us increased performance with a greater safety factor. Still, the MSA harnesses we use, have proven to be tough and reliable.The new Stealth bottles have lightened the load. The Stealth bottles are carbon steel, not aluminum. 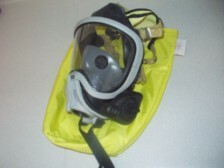 Each firefighter has been issued a new personal mask. These new masks have several improved features. The new Vulcan airpack harness is made for strength, proper weight transfer and comfort. The harness has the new Audi-larm device low pressure bell). It has the ICM 2000 Integrated Computer Module. The module has a pressure gauge, redundant low pressure alarm, LED lights, PASS device and thermal alarm. The carbon steel stealth bottles are lighter and could very well turn out to have a longer life span. If this were true it could mean substantial savings in the long run. The new Ultra Elite MMR Mask features greater visibility, an electronic voice box, optional glasses mount, and is upgraded to for use with a face mounted regulator. 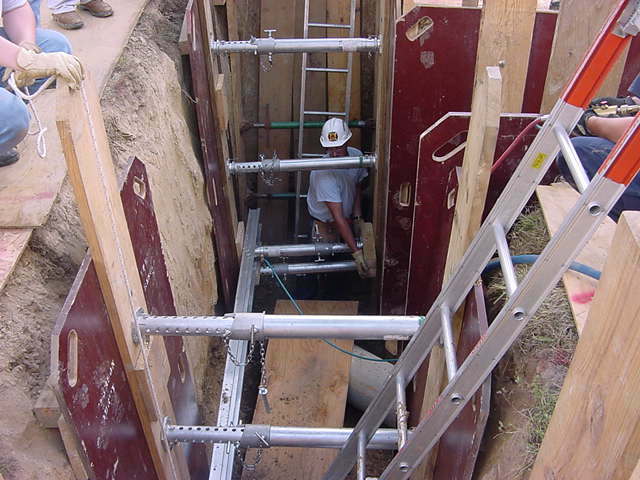 Trench Rescue Equipment are specialized tools used to assist in rescues from deep trenches or holes where further collapse is possible. AEDs (automated external defibrillator) are vital to the modern fire department's First Responders Program. An AED is a device used to provide an electrical shock to patients. The criteria for providing the shock is determined by the machine, so very little knowledge of defibrillation is necessary. 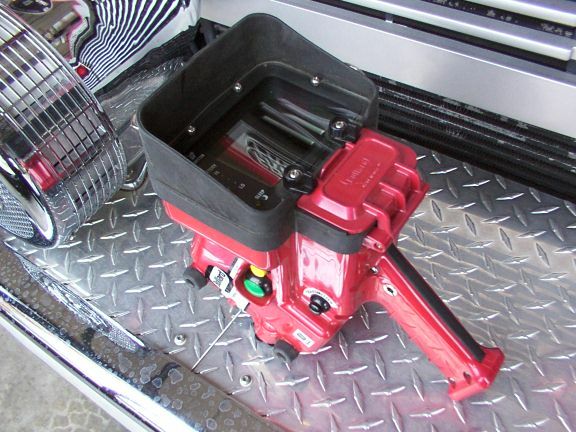 Each of Hendersonville's engines, as well as both rescues are equipped with an AED. An AED is used only on pulse less patients. Once connected to the patient, a voice from the AED instructs the fire fighter to push the analyze button. The AED then determines if the patient is shockable. If shockable the AED instructs fire fighters to push the shock button. The firefighter determines that everyone is clear of the patient before pushing the shock button. This may be repeated several times if need be. The unit can be very important in cases where an ambulance is not on the scene and the patient qualifies for a shockable heart rhythm. 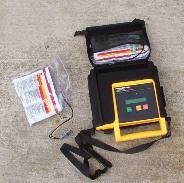 Firefighters are trained regularly on the use of AED.